IP is a work in progress. I can print it to mark it up at work later and even edit to my heart's content before posting elsewhere if I feel like it. I'm not going for the minimization of cubic driving the MicroQuadraMiniTower© concept. MQMTfx lower wider aspect area, so the PSU is upeneded. It's also upside down in the pic, the wires that connect to the board need to be underneath, but keep it from sitting flat for presentation purposes. 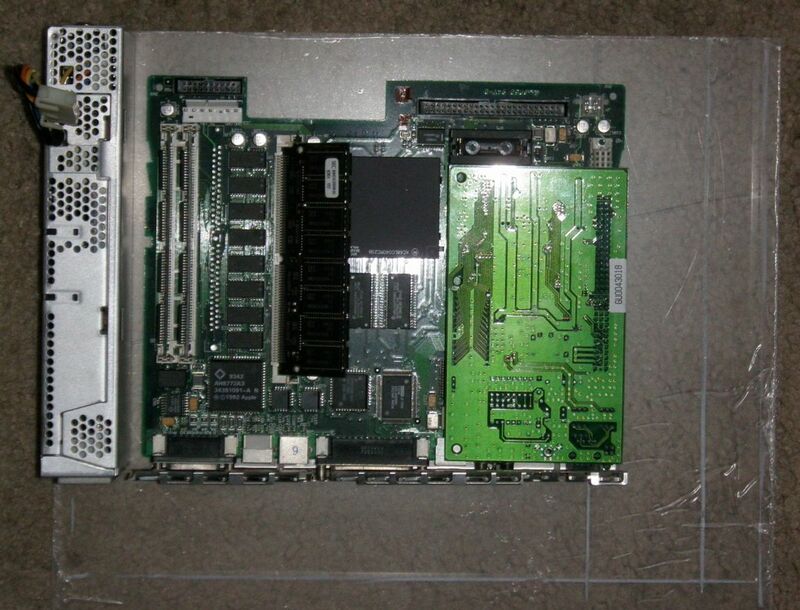 I'd previously loosened the RFI shielding of the 605, so you see my ready-made prototyping backplane panel. Here it is sitting on the plexi grease pencil wet erase board.Depth of case front to back limited by installation of high tech storage peripherals. Think: left to right mirrored Iifx case with Floppy EMU and SCSI2SD dual floppy drive slots, internal WomBat USB in a TowerMac by a use a NeoMacintosh Design Language version of samurai-j's Kensington fxFeets™. While the 6400 MicroTower - Clear Plexi Case Hack was conceived as a curvaceous departure from the boxy bits it would have housed, this one's quite the opposite. The Big Tomato expressed disdain for the case design of his newly arrived Quadra 630/40MHz build's RoadApple PPC 6205 enclosure. The case seemed much too large and noisy to him at first. My suggestion of the size reduction/accessibility enhancement case plastics removal mod didn't appeal to him. I still think it might be appealing were it to be pickled, primed and painted black. I'll definitely be giving that one a case shot as it were, but that discussion's for related threads. This project's not merely a Concept Macintosh design exercise as in previous cases. It's an exploration of the many possibilities I've been toying with for the CNC Router Table production process. That process I can very easily prototype, so this should be a lot of fun! Espresso was Apple's chintzy, in house followup to the much loved Snow White Design Language as represented in the Apple//c, LaserWriter and later the expansion card oriented Macintosh SE and and Macintosh_II. Steve Jobs brought Hartmut Esslinger and his frogdesign firm's talent to the Apple world at what became an objectionable cost level after his departure from the Infinite Loopiness. The NeoMacintosh Design Language is a concept that's been simmering on the backburner of my mind. It's a celebration of new technologies brought to the 68K Macintosh retro-world by developers here, unprecedented availability of heretofore cost prohibitive production processes to hackers everywhere and the many inexpensive, colorful doodads I've purchased on eBay. I've affectionately dubbed these "Chinese Jewelry" and happily display them in a re-purposed UTZ Cheese Ball container. Apparently it's time to order up some more! That's 120mm of clear case cooling component hacked for user configurable decibel output and rainbow hued disk access indication blowing straight down on NIC and CPU. Bigmessowires: "I like it! But . . ."
You'll have to bear with me, it's been one hella' day! 1- This one is all Q605, the 630 version is a backburnered case study only. 2 - I'll be posting scaled, tabbed PDF drawings anyone can print, cut out and tape/paste together like the Mac Christmas tree ornament models. 3 - my clear plexi hack is a miniaturization of the Macintosh IIfx case, not strictly a minimalized MicroQuadra case build. 4 - so I need to add height to match that form factor's rectangular aspect ration. Turning the PSU on its side reduces one dimension to aid in achieving that specified aspect ratio. 5 - If you plug your PSU into the board and rotate its label side toward the CPU, the cable still works just fine and the added height remains within the box' specifications. The added benefit is that the vent perforations are much more visually pleasing than the boring solid lid from the hack's "good side!" 6 - the extra height of the IIfx derivation is put to good use. The additional cubic should place your Floppy EMU behind one of the FDD slots. The other FDD slot is for the SCSI2SD's removable media. 7 - I haven't even finished editing the IP yet! My car decided not to start from one or two easily explained reasons or one F*****g reason or other when I went to drive home. 9 - I walked across the street to the bank for cash and over to Chili's to order a burger and have someone look up a tow service. 10 - waited to call until my burger was served up 1.5 margaritas and a mug of ice water later. 11 - was told it would be beaucoups greenbacks and a 45 minute wait on this sweltering 4th of July night. 12 - said that would be great, call me at Chili's when you're about to arrive! 13 - finished margarita #2, raised the glass, told the barkeep who'd given me the number that it'd be 45 minutes, so fill'er up. 14 - barkeep smiled and said "I like your style!" ??? where was I again! Ah, I see now what you mean about it being upside down. But I'm not clear how this is all going to fit together. As you mentioned, the PSU wires need to go below the level of the logic board, so it'll no longer sit flat in the case. As for the Floppy Emu, there's not much value in mounting it internally, since you need to push its buttons to use it. If there's anything special for the Emu, I think it would be a dedicated external mounting point, but SCSI2SD is probably enough by itself. I need some of those margaritas you're drinking! What's the distance from the bottom of the logic board to the top of the LC PDS card? I don't have any PDS cards to measure, but I'm thinking I should allow space for one. Digipers gimme 20.75mm +-.15mm outside FRP to outside FRP. Soldertail points are a little over 24mm apart. VRAM SIMMs are taller. My 72pin DRAM SIMM is taller yet, but everything remains within the height of the PSU, that's your limiting factor. I wish I had another one too. edit: forgot about the wire thing. Black strain relief tape nuzzles the SIMM Slot's corner, PSU rides about 7mm above the top plane of the logic board. Need to keep the cooling vents clear on both sides. 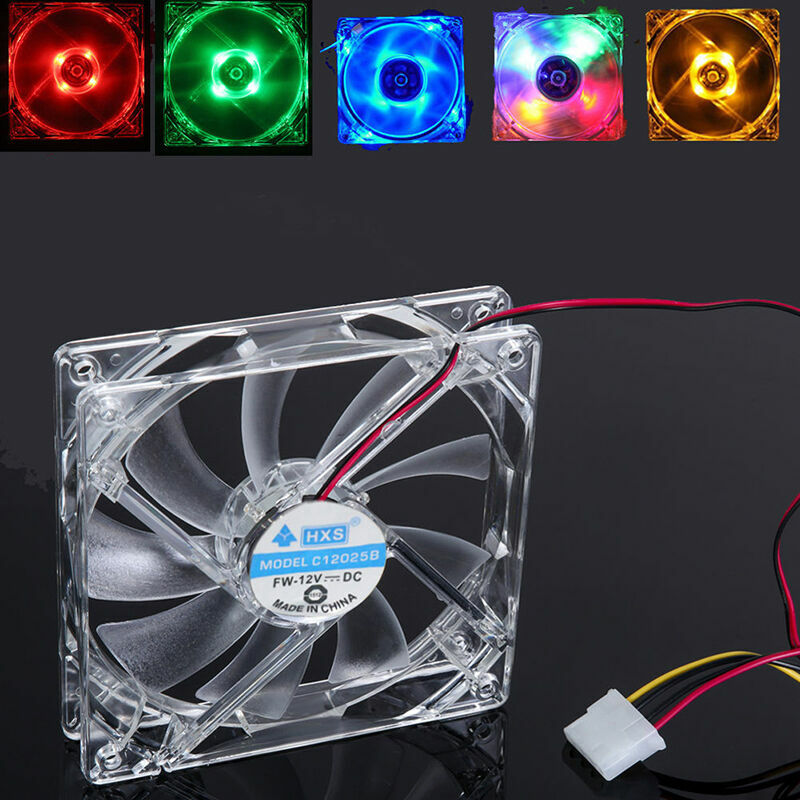 Haven't really looked at airflow yet. 66cfm @ 31dB is just a bit on the high side for both values. LOL! Dunno how the falloff curves will plot, but halving them both in one fell swoop's probably not an entirely unreasonable expectation. My design's Snow White thang gives me a lot of options on where to release that air pressure for best cooling effect. That's what I like about router tables, they can tool along in a groove, dip down for a bit and then rise back up to eye candy level again for the balance of the pass. That turns an elegant design feature into a vent at almost any point on four sides of the case, as I'll be Snow White groovin' what would be the flat bottom on the pet IIfx. Lasers aren't particularly known for that kind of exacting depth of cut control in plexi. It appears I may have stumbled upon a .TXT formatting that's at least marginally easier to parse? Maybe I should stick to the fx model more closely, I don't want to have it looking like a Snow White 1200 bps Modem or Router. Recesses matched to the five clear sticky Feets™ for desktop orientation seem more appropriate. There's a lot of detail down under. Recess for the printed nameplate all but goes unsaid. Gotta find a thin speaker of an appropriate diameter. Raised sound channel detail becomes a routed recess faux-detail. That's nit picked, missing sound channel won't matter at all in MTfx orientation, likely not all that much in DTfx mode. Got it! 3D-printed Casing for LCD Panel? If I can get it to letterbox a 605 output it'll be perfect. It's the only panel I've seen with wired I/O in place of big honking connectors. |_ NeoMac Design Language/Snow White Cinema Display. edit: Will minivmac/Android on Pi run in full screen cinema mode at any suitable resolution? There's too much of this kinda crap going on elsewhere, so I'll pick this one up on a very different tangent. BMOW did a FABULOUS job with his Orange Monster and I've got my corrugated cardboard mockup tweak of his design in the <mjMCMQMT< nearly complete and back up on the Apple display shelves waiting for a DOA LC recap candidate refit. 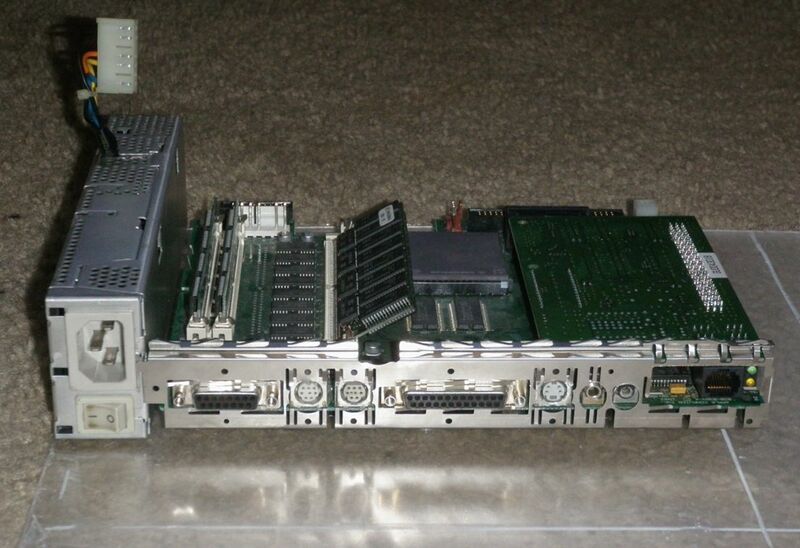 A Quadra 605 build with internal CD-ROM and internalized external SCSI Zip drive. The laser cut production process seems perfect for clear plexi chassis members and boxy containment conveniently bolted up behind the 7100/CD front bezel I've been saving for years and years in the parts bins. Test fitting is complete, the recess on the bottom of the case will be gone but for the under chin grille and vestiges of the chin on left and right sides as frontspieces for the requisite Feets™ I'll be making vector art in AI8 suitable for laser cutting the case members and using printouts as templates for my hand built parts. An alternate set of parts might be in the works for anyone who likes the form factor, but hasn't got the 7100 bezels or tools to follow the homebuilt trail. Interesting tidbit, the case of the external Zip drive holds the four pins of the two plastic chassis rails at top and bottom. Those pins are eagerly waiting to find a home in laser cut (drilled) holes! Perforated section of the bezel will be a hinged one way or another for Zip access because the slot's offset in a visually unappealing manner. Keeps appearance of the front of the bezel stock as well. Two story Quadra 605 case has a big square opening on the front bezel for a backlit nametag on there. Planning to cross the PowerPC silk screened disinformation out with grease pencil to start with. I can always wash the Silk Screen enamel off it later, but grease pencil will hide the one dark blemish arcing across the bezels if I can't make them go away.